The propeller is among the most critical aircraft components for flight safety, but it’s also one of the most highly stressed parts on an aircraft. Without proper care and attention before and after each flight, the propeller is vulnerable to serious damage. Here are a few of our top tips to ensure your propeller gets the proper care it deserves. Perhaps the most important part of caring for your propeller is conducting regular inspections before and after any flight. Start by looking for obvious, visual signs of damage, such as nicks, gouges, cracks in the spinner dome, missing hardware, and signs of erosion. Then, lightly run your hands over the blades to detect any further damage. 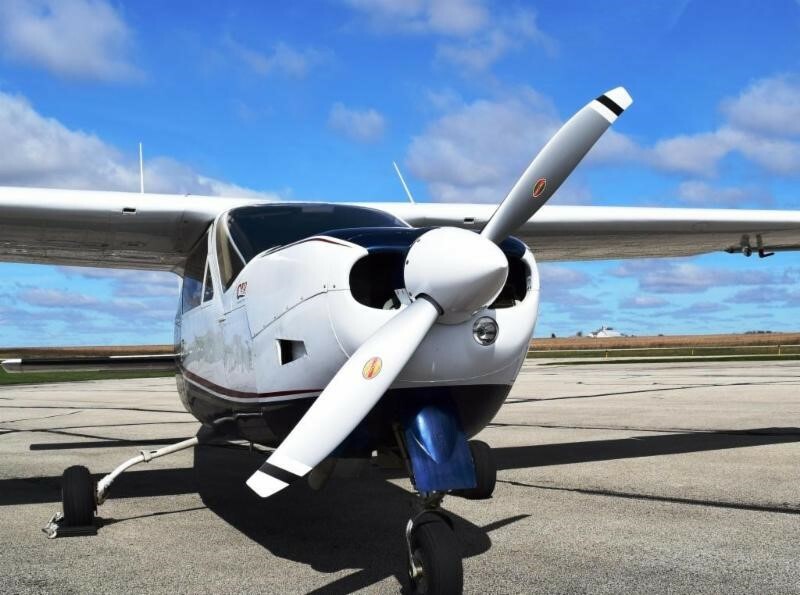 Hartzell Propeller has a number of maintenance videos to help guide pilots through the proper pre-flight inspections of aluminum and composite blades. If you do notice any issue during an inspection, get it addressed quickly by an expert before flying. When it comes to moving or parking an aircraft, it can be tempting to simply pull or push it by the propeller blades or spinner. However, this can easily cause damage to the blades, hub, or spinner. Instead, use a towbar to safely move the airplane. Remember to remove the tow bar when it’s not in use to avoid the embarrassing and dangerous mistake of taking off with the towbar still attached. Operating your aircraft on runways with loose gravel or rocks may also damage the propeller blades. If possible, clear away any gravel or debris that’s within four to six feet of your aircraft before starting up or move the aircraft to hard ground. Remember, any time your propeller strikes a foreign object, you should discontinue the flight to prevent causing further damage. Aircraft propellers have recommended overhaul intervals based on calendar time and flight hours. It’s essential to have your prop overhauled once it reaches either the time limit or flight hour limit, whichever occurs first. Complying with your propeller manufacturer’s recommended overhaul periods will prevent any issues developing within the propeller from turning into bigger problems. Following these care tips will help your propeller remain safe and reliable for many more hours of flying! Do you have any questions for the Hartzell Propeller technical team? Contact us today.